His debut was in the Douro and it is in the Douro that he bets once again, springing towards an ambitious wine project, after having signed the last harvests of the most famous Portuguese red – Barca Velha, the only wine which dares to challenge time. At 52 years of age, and after 28 harvests in the Douro, “a passion” he assumes with pride, the oenologist José Maria Soares Franco signed one of the important wine events of the years, the launching of yet another Barca Velha, a legendary wine, and undoubtedly, the most famous Portuguese red, since it needs a minimum of six years of aging in bottle and an exceptional quality for the harvest to receive this denomination. Last year, in 2006, the 1999 bottle was launched, a production of just over 30 thousand bottles quickly absorbed by the market. This year however, his twenty-ninth harvest will be different. Still in his well-loved Douro, although, this time, with the first harvest of a new challenge: the accomplishment of a personal project, the dream of any oenologist. After several years of “great personal fulfilment” spent in Sogrape, José Maria Soares Franco joined his experience to the experience of João Portugal Ramos, renowned oenologist and one of those responsible for the enormous qualitative evolution of the wines of the Alentejo. 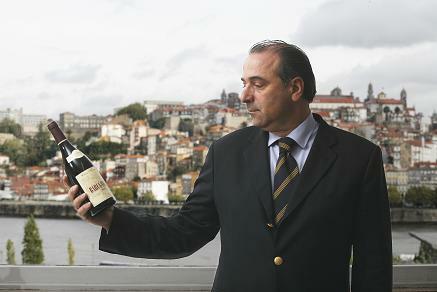 Being the major shareholder of Gestvinus (the holding which embodies J.Portugal Ramos Vinhos, J. Portugal Ramos Sociedade Agrícola, Falua and Consulvinus), the richness of the wines of the Douro, the most well-known Portuguese region and a undeniable reference in both the national and international market was missing in his portfolio. The entry of Soares Franco in the capital of the holding came to close this gap, and, although they are still looking for land in the Cima Corgo and Douro Superior for the planting of their own vineyards, the 2007 harvest is already secured through the lease of wineries and the purchase of selected grapes. 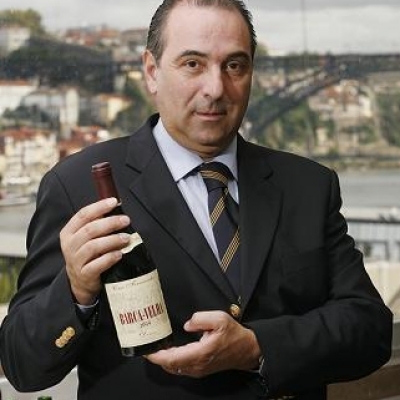 Ten million Euros is the foreseen investment for the first five years of this ambitious project and which, according to Soares Franco, predicts the launching into the market of “at least, three reds, one white and two Porto’s more directed to the special categories”. The traditional Douro varieties continue to be the biggest bet – Touriga Nacional, Touriga Franca, Sousão and Tinta Francisca (for reds) and Viosinho, Arinto and Verdelho (for whites) – and the production of a Premium wine is already a certainty. Born in Lisbon, but in a family with roots in the Alentejo, it was in Azeitão, in the wine cellars of José Maria da Fonseca that, he recalls, he became aware of “the magic and the mysteries to be found in a bottle of wine”. “My father was not only cousin, but also family doctor of the four Soares Franco brothers, the owners of the company, and had with its leader, António Porto Soares Franco, a strong friendship; and it was in accompanying his professional visits that I learned about the world of wine”. The love for the earth and nature led him to opt for a degree in Agronomy (1972/1977) and the memory of those times, for an internship in the Estação Vitivinícola Nacional (1978), in Dois Portos, at a time where there were no oenologists, but tasters. It was the case of Fernando Nicolau de Almeida, de famous creator of the first Barca Velha, in 1952, and emblematic figure of A.A. Ferreira, where Soares Franco enters in 1979, following a short internship in the Insititute of Madeira Wine. “I had the privilege of working with Fernando Nicolau de Almeida until 1987, year in which he retired and I assumed the responsibility of the Oenology Direction”. In the end of that same year, the company is bought by the Sogrape Group, currently national leader of the sector and withholder of a vast brand portfolio. 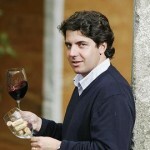 José Maria Soares Franco also becomes responsible for the Carvalhais project, aiming to restructure and give a new image to the wines of the Dão. 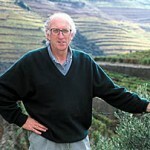 “But, when Sogrape chooses to further concentrate its effort of acquisition and production in the Douro with the purchase of Offley in 1996, and of Sandeman in 2003, the volume of the Douro and Porto wines was so huge that it was impossible to be responsible for both regions, and I therefore kept only the Douro.” Besides having participated in the elaboration of Barca Velha of 1981, 1982, 1983 and 1985 and for having been directly responsible for the harvests of 1991 and 1995, all the wines from the Douro – including the three bands of Porto Wine – Ferreira, Sandeman, Offley –, the Constantion brandy, vinhos verdes and from the Douro, whites and reds from Casa Ferreirinha, such as Quinta da Leda, Callabriga, Reserva Especial, amongst others; were all under his responsibility. Time is important, but it’s not all. It also needs several elements, all of them carefully studied down to the smallest detail, so that the process takes place in perfection; the most adequate bottle, the essential conditions of storage, and, of course, a natural cork stopper, the best in the market. Bottled at 20 months, the wine is regularly tasted between six to eight months and only the harvests which reach an exceptional quality receive the designation of Barca Velha. Otherwise, they will be designated Colheita or Reserva Especial. “It is during this long period of maturation in the bottle, while waiting for the wine to evolve and gain this exceptional complexity, that the role of the cork stopper gains dominance, revealing to be extremely important”, he defends. “There, the influence of the cork, allowing it is good and free of defective aromas (TCA, the Trichloranisol compound), is very positive, for small differences in its quality give origin to small differences in the final quality of the wine, and we feel it, especially in the intensity of the aromas.” And he concludes, explaining that Barca Velha, like a Vintage, is a wine which benefits from maturation in the bottle sealed with a quality natural cork stopper.